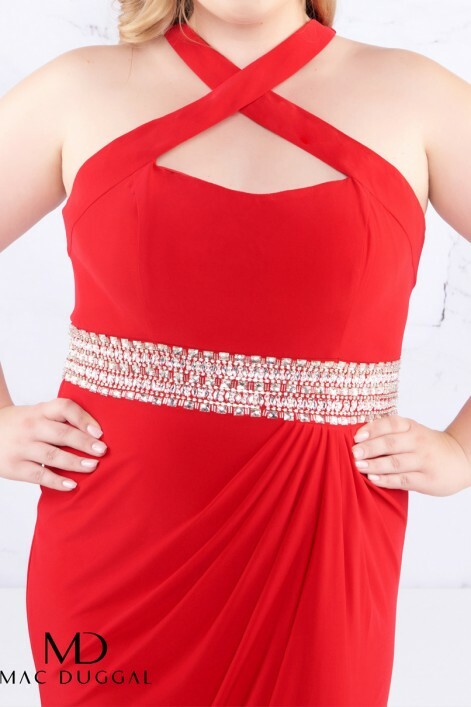 Red is defiantly your color in style 77532F! The top gives the dress a twist with the cross keyhole bodice on the front AND the back. The thick silver embellished belt adds striking detail and it also features a leg slit.